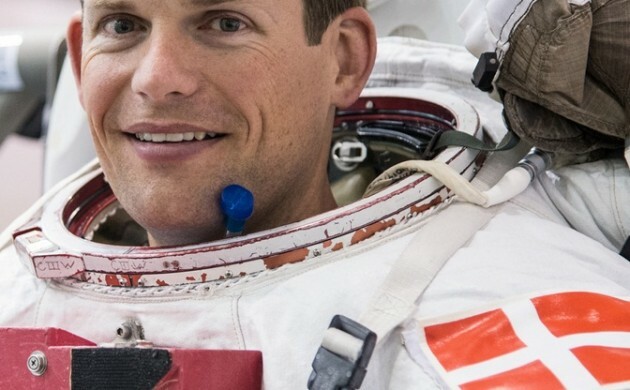 At precisely 06:46 this morning, Andreas Mogensen became the first Dane, and just the second Scandinavian, to enter space. After propelling the vessel carrying Mogensen and two cosmonauts to an elevation of about 220 km above Earth’s surface, a Soyuz rocket detached about nine minutes after lift-off from Baikonur Cosmodrome base in Kazakhstan. Over the next 51 hours, Mogensen and his two colleagues will orbit Earth 35 times before intercepting the International Space Station (ISS), which is located some 400 km above Earth’s surface. As of 08:09 this morning, the crew had already completed one orbit. Every orbit takes about 92 minutes with speeds reaching about 28,000 km per hour. If everything goes according to schedule, they will arrive and dock at the ISS on Friday morning at 09:42. Mogensen will remain at the ISS for 10 days. He is scheduled to return to Earth during the middle of the night on September 12.